This is a HUGE reason. Most people carry on smoking because they think they can’t quit. That it’s just too difficult, or it’s not the right time. All this does is reinforce the myth that the habit is stronger than you are. Perhaps the most rewarding thing about becoming a non-smoker is demonstrating to yourself that you retain control over your own actions. It’s actually just about the most empowering thing you can do. Indeed, studies show that stopping smoking can have a greater positive effect on those with psychiatric problems than a course of antidepressants. Many smokers live under the illusion that smoking relaxes them. WRONG. Nicotine is a stimulant, and the average smoker’s heart beats a hefty nine beats per minute faster than his non-smoking counterpart. The illusion that smoking relaxes you comes from the temporary relief you experience by satisfying your craving for the next cigarette, and perhaps also from the deeper breaths you take when you have a long pull. But guess what? Relaxing breaths without smoke work even better! Smoking’s not just bad for you, it’s pretty damn bad for the planet too. This goes far beyond cigarette butts in the street, even though there is the small matter of an estimated 4 trillion butts produced each year, none of which are biodegradable. Tobacco growers use enormous amounts of toxic pesticides to protect their crops, many of which have harmful effects on humans. In developing countries where regulations are less strict, workers do not wear sufficient protective clothing to prevent health risks to them. Furthermore, 200,000 hectares of forest are cleared annually in order to plant tobacco, or to provide wood as fuel for curing the tobacco. You probably didn’t know that children make up a significant portion of the labour force used to grow tobacco around the world. Bizarrely, this isn’t a problem limited to the developing world: in the US, children over the age of 12 are allowed to work unlimited hours on tobacco farms as long as it’s outside of school hours. Moreover, tobacco pickers are prone to an illness called Green Tobacco Sickness, caused by absorbing nicotine from the leaves. Children suffer especially, because the nicotine they absorb is higher as a proportion of their body weight. At this point it’s worth reminding ourselves that nicotine is a poison, of which one drop in its pure form would be sufficient to kill you. While tobacco is a useful cash crop, you can’t eat it. And the thing about tobacco is that much of it is grown in countries where people need more food. Indeed, between 2011 and 2013, 12 of the top 25 tobacco-leaf growing countries had high levels of malnourishment in their populations. If everybody stopped smoking, they could go back to growing things that are, you know, edible. Between April 2013 and March 2014, there were 2,360 domestic fires in the UK caused by unattended smoking materials, resulting in 80 deaths. Now, you’re probably thinking that this would never happen to you, but do you think the people responsible for all those fires any different? So there you have it. I managed to write this whole article without once mentioning lung cancer, emphysema, decreased fertility, the outrageous price of a packet of cigarettes, plane rides spent gagging for a smoke, being exiled into the cold to have your next fag, the fact that the your fingers and teeth are going yellow, your hair and clothes and breath smell, you wake up with that horrible hacking cough and get breathless when you walk up the stairs (if not now, then soon), or that cigarettes contain 600 poisonous ingredients and 70 known carcinogens. 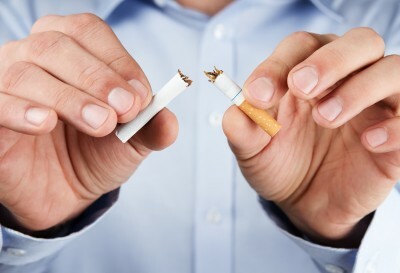 However, I should probably mention that hypnosis south london has been shown by studies to be six times more effective than willpower alone when it comes to becoming a non-smoker, and that it’s even more powerful when combined with CBT. And that I’ve helped many people become happy, healthy non-smokers with my one-off, two-hour smoking cessation therapy that comes with support materials. Thanks for reading!